A plethora of different kick off times meant a staggered Good Friday of fixtures in the Betfred Championship, as the fourteen sides played out their round ten fixtures in the increasingly competitive jostle for the play-off places, and to avoid the ignimony of relegation. League leaders Toronto were in Cumbria to face Barrow, while second placed Toulouse travelled to third placed Sheffield for the most appetising game of the round. There were local(ish) derbies between Swinton and Rochdale, Widnes and Leigh, Featherstone and York, Halifax and Bradford, and the traditional heavy woollen derby between Dewsbury and Batley. Rarely in the history of Super League has there been a Wigan Warriors v. St Helens derby match where the odds were so heavily stacked against the home side. St Helens, with just one loss so far this season, travelled to the DW Stadium to take on a Wigan Warriors side who have had a terrible start to the 2019 season by their own very high standards. Wigan have only three wins to their name and are occupying a botton three spot but this was the oldest derby, and for most Warriors supporters, the must win game of the season. A loss would make Wigan's top five hopes very difficult, a win for Saints would keep them in top spot, regardless of other results. Local pride was at stake as the second Hull derby of the season kicked off at the KCOM Stadium, home of the Black & Whites. KR picked up the two points, with a try in the last few of seconds, when the two sides met in the opening round fixture back in early February. But FC have had the better opening to the season and are currently four points ahead of their opponents in the league table. Lee Radford has three of his stars back in the squad as Scott Taylor and Masi Matongo returned from injury and Mickey Paea from suspension. Hull KR also have reason to celebrate as they also welcome back three stars from injury with Sean Lunt, Mitch Garbutt and Lee Jewitt all back in the seventeen. Form was out of the window, this was all about much more than recent results. After the first ten games in Super League 2019 there was very little to choose between the top two sides in Yorkshire. Both the Castleford Tigers and Wakefield Trinity have six wins under their belts, and are only separated in third and fourth position in the league table by two points difference. The Tigers have conceeded eleven points less, but also scored nine points less than Trinity. Both sides came into the game with a number of injuries to first choice players which forced changes on the coaches, and both knew that going into the busy Easter period that the two points would be crucial to keep the pressure on the two sides above them, St Helens and Warrington Wolves. 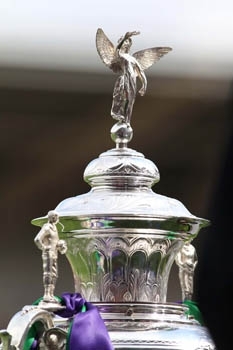 The draw for the sixth round of the Coral Challenge Cup was held live on the BBC News Channel as the remaining eight Super League sides joined the competition for the first time, including the holders the Catalans Dragons. The eight remaining sides from last weekend’s fifth round fixtures included the Leeds Rhinos and Hull KR who both registered big wins over lower league opposition. It included Halifax RLFC, who giant killed Super League London Broncos. Bradford Bulls also made the draw after a stunning golden point victory over Featherstone after launching a big comeback in the dying minutes. After a sensational two point victory over the North Wales Crusaders in the fourth round of the Coral Challenge Cup, Thatto Heath Crusaders were rewarded with a fifth round home tie against the semi-professional side from Dewsbury, as the Rams and their supporters travelled to Crusader Park in St Helens. Thatto Heath named the same staring thirteen who were victorious last time out in the Cup as the National Conference Premier League side hoped to repeat their heroics against the ninth placed Championship side who were beaten last weekend by the Bradford Bulls in the league. It was a good crowd and a terrific atmosphere, the magic of the cup was in evidence as the last community club left in the competition had another roll of the dice. Fresh on the back of their shock win over St Helens last weekend, the Catalans Dragons welcomed an injury hit Hull FC to the Stade Gilbert Brutus. Both sides came into the game with five wins, and on ten points, with the Black & Whites holding a fifty-seven point, points difference advantage. Fifth place was up for grabs, and although todays winner would be level on points with both Castleford and Wakefield, the points difference was too much to overhaul to go above them. Steve McNamara made a number of forced changes with Sam Tomkins moving to stand off and Tony Gigot to full back. An under strength FC welcomed back Jake Connor after a long injury lay-off, and had Gareth Ellis dusting off the boots once more, but had been rocked by the mid-week medical retirement of favourite Fetuli Talanoa. An early summer sunny evening welcomed the players onto the pitch. After losing their one-hundred percent start to the season in the south of France last weekend, St Helens had the perfect opportunity to get back on the proverbial horse as they took on the top of the table side, the Warrington Wolves, in a four-pointer. Saints welcomed back Jonny Lomax to the starting line-up, and Louis McCarthy-Scarsbrook on the bench. The Wolves made a couple of changes themselves ahead of the trip to the Totally Wicked Stadium with Mike Cooper and Jack Hughes both back in the starting thirteen. Both sides had only recorded one loss in 2019, but only one side could win and go two points clear at the top of the table as Warrington’s best attack in the league was taking on Saints best defence. Round Ten of Super League pitted a Huddersfield Giants side, desperate for a win to try and scramble free of the relegation zone, against a Castleford Tigers side who are poised for an attack on the Minor Premiership, just four points behind the top two. The Tigers came into the game on the back of a good win against the Wigan Warriors last weekend, while the Giants will have spent the week licking their wounds after losing by just one point to Wakefield Trinity last time out. A home win would go against the recent form between the two sides but if realised it would see the Giants up into eighth, an away win would consolidate the Tigers in third. Two games on Saturday, and five on Sunday, made up the Betfred Championship fixture calendar for round nine as the competition reached its 'one third of the season' stage. Two of the three top sides were in action on Saturday as Toronto faced Sheffield in London and Toulouse hosted Featherstone Rovers in the south of France. Sunday saw Batley face Widnes, Dewsbury at Bradford and Leigh take on the challenge of Barrow. Elsewhere Swinton were at high flying York and Halifax travelled to Rochdale along with their 44 year old mascot who was celebrating his ‘stag doo’ (favourite player Scott Murrell). 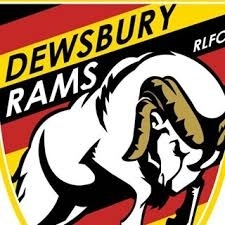 It was seventh against ninth as a local derby threw together the Bradford Bulls and Dewsbury Rams in the Betfred Championship. A win for Bradford would keep them in touch with the top teams but Dewsbury were well aware that their failure to gain a victory would see them slipping further away from the play-off positions. It was sure to be a competitive match between two sides with everything still to play for as the Betfred Championship started to take shape. Who would end the eighty minutes as this weekend's kings of West Yorkshire? The Women’s Super League (WSL) kicked off with a local derby between the Wigan Warriors and St Helens at Robin Park. For the two sets of players it was the biggest game of the season first up with bragging rights at stake. A win for either side would set the scene for the season ahead, and despite being so early in the season this was already being billed as a four pointer. The weather was perfect in Wigan with the sun shining and a decent crowd gathered to witness what was hoped to be a close game and a terrific spectacle. Could last seasons Champions and cup winners get their 2019 season off to the best of starts with a home win. The champions elect St Helens made the trip to Perpignan to face a Catalans Dragons side still smarting from the beating that they suffered at the hands of the Wigan Warriors last weekend. A home win would lift the Dragons into fifth place in the table, but they were big underdogs with the bookies, who were convinced that the Saints would pick up the win that they needed to jump over the Warrington Wolves and head back into the top spot at the one third point of the season. Heavy rain and cooler conditions in the south of France were also likely to benefit the visitors. The game of the round saw the Toronto Wolfpack host the Sheffield Eagles at the home of London Skolars as the league leaders played the steel city side who have impressed and surprised in equal measure with their start to the 2019 Championship season. A twenty point win for the Eagles would see them leap ahead of the Wolfpack but the Toronto side knew that they needed the two points to guarantee that they would be at the top of the table at the final hooter. Toronto had a week off last weekend as they elected not to enter the Challenge Cup while Sheffield lost their cup match against Leigh Centurions. The Wolfpack favourites with the bookies to pick up the two points on offer. 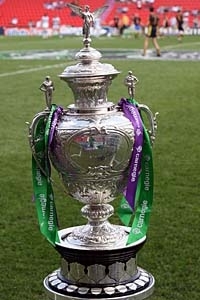 Even at the quarter season stage, tonights match was a must win for both combatents as Hull KR hosted the Leeds Rhinos. A win for KR would lift them into seventh spot in a tight bottom half of the Super League table but a loss by twenty-five points or more would see them into bottom spot. For the Rhinos, a win by fifteen points would see them up to ninth, but a loss would cut them further adrift at the bottom. The Robins brought Taioalo Vaivai, Robbie Mulhern, and Rhinos old boy, Danny McGuire into their starting line-up after a narrow defeat at the league leaders, St Helens, last weekend. The Rhinos were without Richie Myler who picked up a suspension after last weeks Golden Point win against the Castleford Tigers, and had trialist Wellington Albert on the bench for his first outing in the Blue and Amber. The fifth round of the Coral Challenge Cup saw the entry of the four Super League sides who took part in last season’s middle eights competition as the minnow crossed their fingers and hoped for a fantastic away day at Leeds Rhinos, Hull KR, Salford Red Devils or London Broncos. 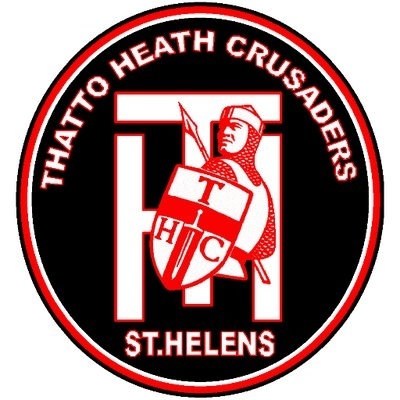 There were sixteen names in the draw with St Helens amateur side Thatto Heath Crusaders the lowest placed side, joining the surviving Betfred Championship and Championship One sides in the hat. The fourth round of the Challenge Cup threw together two BD postcoded sides in a derby scrap for a place in the fifth round, as seventh placed Championship side the Bradford Bulls travelled to Keighley side languishing well adrift at the bottom of Championship One, after a big points deductionfollowing a period in ‘special measures’ over the close season. 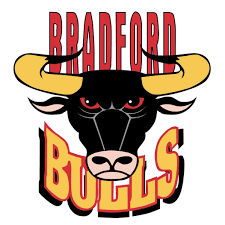 It was a very welcome pay-day for the home side as plenty of Bulls supporters made the short twelve mile trip around Bradford to bolster the home crowd creating a great atmosphere. Bradford were the favourites to progress but there were local bragging rights at stake and the Cougars wouldn’t give it up easily. Crusaders Park in St Helens was the venue as Championship one side the North Wales Crusaders took on their namesakes from Thatto Heath in the fourth round of the Coral Challenge Cup. Unbeaten so far in 2019, and with a good cup run and two league wins in the Premier Division of the National Conference, there was a real chance of an upset as they took on a side just six places above them in the league ladder, who had registered four straight defeats at the start to their own 2019 league campaign. The home crowd were expectant of Cup progress, and the possibilty of a draw against one of the four Super League sides who will enter the competition in the next round. The upwardly mobile Hull FC had an intriguing round eight game against fellow play-off contenders the Warrington Wolves, with both sides looking to build on their respective wins last weekend. FC have lost just one game in their last six outings while Warrington have recorded just one loss in 2019, their away fixture in Perpignan. A win would have sent FC into fourth and a fifteen point win would have put them up to third but the Wolves were unlikely to be able to make progress unless they got a big win, while St Helens upset the odds and lost at Hull KR.